When coaching leadership teams, I often hear phrases like “If only …” or “Why can’t …” and other victim-language from members of the team and even the leaders themselves. They blame their poor performance on the failings of others, structure and hierarchy. This mindset is not only counterproductive, it also removes any accountability from senior management to do anything more than complain about the situation. There is one compelling rule in life – If never changed the course of history. 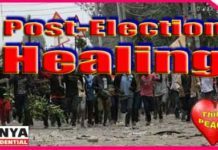 In Kenya the sense of victimization is politically explained as marginalization and during election time as winner-take-all result by politicians and so-called political analysts. 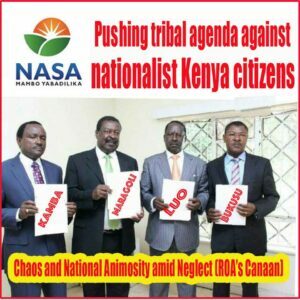 Politicians who have enriched their families into millionaires and billionaires in the midst of poverty-striken communities they have exploited as ignorant voters, overnight turn into vocal critics on how their communities have been marginalized and all state resources spent exclusively to develop Central Kenya. They tell their communities that they are poor because one of their own has never been a president when they themselves have occupied positions of cabinet ministers, vice presidents and prime minister. 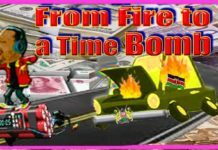 Kenyans, globally known as having very short memories, never stop to question such politicians but pour out into rowdy street demonstrations burning tyres on newly built roads, burning police and private vehicles and looting shops. 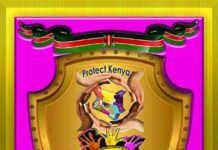 The 5 big tribes Kikuyu, Kalenjin, Luo, Luhya and Kamba, among 44 ethnic communities have dominated the positions of presidents and vice presidents in Kenya for 55 years. Three of them Luo, Luhya and Kamba today claim their communities have been marginalized since independence. The leaders who preach marginalization making their communities believe they are victims of economic and political denial are millionaires in any currency known in the world, live in homes many western countries politicians can only dream of, drive is state of art latest vehicles, fly first class internationally and feast in 5-star hotels in Nairobi and all world capitals. In shocking contrast a majority of their rural communities in Luo Nyanza, Ukambani and Luhyaland have families trekking 10 kilometres and more to fetch waters in manholes shared with their domestic animals, livestock and wild animals. 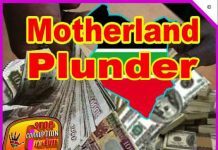 Such areas include Kisumu County whose governor flew to the United States for medical treatment while many of his voters spend best part of their day trekking over 20 kilometres looking for dirty water for domestic consumption. The governor is a University Law Professor and long time legislator as Member of Parliament and Senator who once occupied Health cabinet position and seems to not to worry over his people lack of clean piped water. 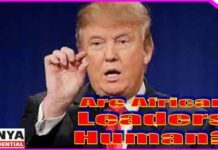 Some of his voters in the 21st Century have no toilets – not even pit latrines. His daughter is Oscar winning actress who lives in the United States. Another part of Kenya where residents languish in considerable poverty, disease and ignorance is Kitui where former vice president and Wiper Democratic Movement and NASA deputy presidential candidate Kalonzo Musyoka hails from. Kalonzo is a lawyer who was introduced into politics by former illiterate nominated MP Mulu Mutisya. He has a combined political career as MP, Minister for Education, Foreign Affairs and vice president of over a quarters century. 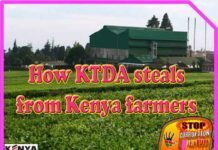 His Kitui home rests on land he grabbed from the National Youth Service with a fully developed farm. 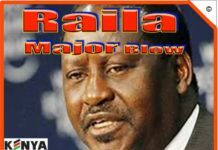 Kalonzo has nothing to show for development for Kitui residents he now tells them they have been marginalized and if President Uhuru Kenyatta does not dialogue with NASA about electoral reforms Kenya will become war-torn Somalia. That means he is ready to impoverish his community even more. 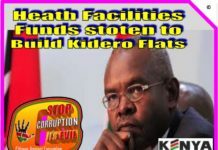 He once denied that some children in Kitui had died after eating a cat that had starved to death when he was a minister denying the starving population relief aid from then Moi government. He helped a lady teacher in Meru develop a school which Kitui residents can only dream of. Kitui residents would be better of with clean water flowing from dams initiated by Uhuru government to drink and irrigate farms than any political reform. 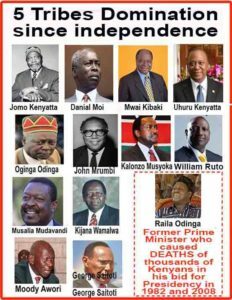 They have suffered in leadership of the likes of Kalonzo for decades on end. 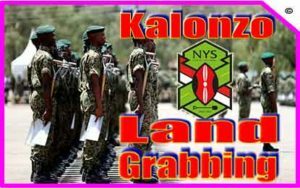 Musalia Mudavadi at one stage conspired with Kalonzo to buy some land in Kitengela after learning in the cabinet that Export Promotion Zone (EPZ) project would come up there and made millions after inflating the price of the same land and selling it to their own government. 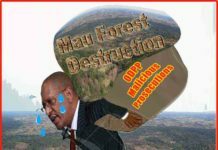 On his own Musalia as Minister of finance made a kill from Pending Bills, whose contractors would part with 10 per cent of what they would be paid in a new financial year. His own home in Nairobi was put up by an Asian contractor with a bonus of a child. 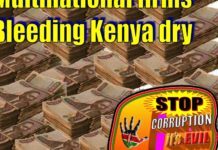 His NASA boss Raila Odinga in 2007 told Kenyans of money he made from Goldenberg. Growing up, feeling sorry for myself was just not acceptable in my house. We were working class and bettering my station meant working longer and harder than the kids at my private school. It meant doing more just to catch up to the others. Now, as an entrepreneur and founder of a tech company, my team’s success is on me; I own it, even if the cards don’t fall as we hope or expect. The only question is, “What do we do now?” We don’t placate ourselves by ruminating on what was “fair” or someone’s fault — we take responsibility for where we are and find the path to better our circumstances. Stanford psychologist Carol Dweck has done extensive research on the importance of a growth mindset. 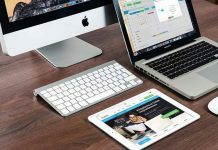 Her research on several Fortune 1000 companies found that employees in companies with a growth mindset have a higher level of trust in their organization, are more innovative, feel more supported in risk-taking, and have a greater commitment to their organization and its strategic outcomes. How we think is the precursor to how we act. So, if we think like victims we will act like victims and acting like a victim is never going to result in reaching our highest potential or realizing our greatest strategic outcomes. Mindsets come about through the development of organizational norms and these norms need to be proactively set and selected. At Ferrazzi Greenlight one of our High-Return Practices (HRP) is known as Red Flag Rules. These are commitments we make to our teammates to interpersonally engage in ways that create trust and psychological safety. Red Flag Rules are a team’s rules of engagement. Unlike most rules at work that focus on process — what we are supposed to do and how we are supposed to do it — Red Flag Rules are about relationships; they focus on how we should be with one another. Circumstances do not form mindsets. Every action we take is a conscious decision so it is beholden upon us, as leaders, to always choose to be proactive in our decisions and set the example of the kind of growth mindset we need to adopt and cultivate within our organizations. This is the opposite of the victim mentality that prevents so many teams from performing at their best and withers shareholder value. Through implementing practices such as Red Flag Rules and abiding by certain rules of being with one another we can deliver a knockout punch to the victim mindset, enabling a growth mindset to permeate our organizations. 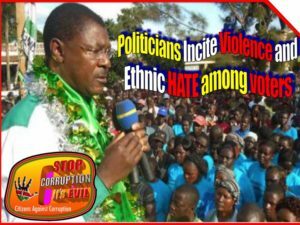 Kenyans themselves must disabuse themselves from the victimization mentality. The same politicians who preach to them how they have been victims of marginalization are presently quite as schools in their areas fail to get students from their neighbourhoods. instead they are busy mobilizing the same people to oppose transfer of head teachers from other parts of the country. A few years to come they will be telling the same people that they lag behind because they were denied education and their illiterate children are not being employed. If you can’t be a bridge to connect people, then don’t be a wall to separate them. If you can’t be a light to brighten people’s good deeds then don’t be darkness covering their efforts. If you can’t be water to help people’s crops sprout, then don’t be a pest destroying their crops. If you can’t be a vaccine to give life, don’t be a virus to terminate it. If you can’t be a pencil to write anyone’s happiness, then try to be a nice eraser to remove their sadness.